With some of the worlds most desirable beaches, and a sun drenched climate a Caribbean Cruise is high on the list of must visit destinations for Cruise go-ers. A promise of crystal clear waters, world class snorkelling, hiking, swimming, fresh seafood, mixed with the unique Caribbean culture it is no wonder this is the most visited cruising region in the world. 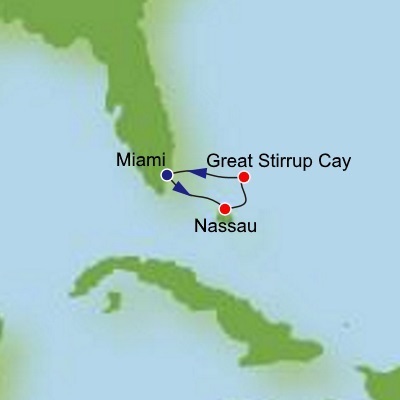 Most Cruises to the Caribbean depart from Miami or Fort Lauderdale (Florida) heading south. Cruises within the Caribbean also depart from Puerto Rico (San Juan). The Best Cruises to the Caribbean will feature a mix of destinations that have different cultures. For example, the US Virgin Islands have a very different feel to islands that have a European history. 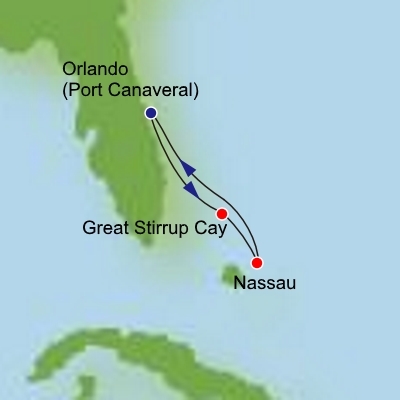 Cruises in the Caribbean can range from short 4 day cruises or longer 7, 9, 11 and 14 night journeys. Caribbean Cruises can be taken all year round. Peak periods occur during Summer. Be aware that the peak Hurricane season is from August to September although the chances that your cruise may be affected is rare. Please ensure you have adequate Travel Insurance to avoid any disruptions. Laze on a beach, snorkel, scuba dive, eat Seafood and Caribbean Chicken and Rice. Dance the night away. Visit Saint Martin's Princess Julianna Airport where you can spend the day watching planes land above you while you swim at the beach. See how the rich and famous holiday at St Barths. We have a number of discount Cruises in the Caribbean on sale from under $1500. All Inclusive and Bonus Offers are also available on some itineraries.